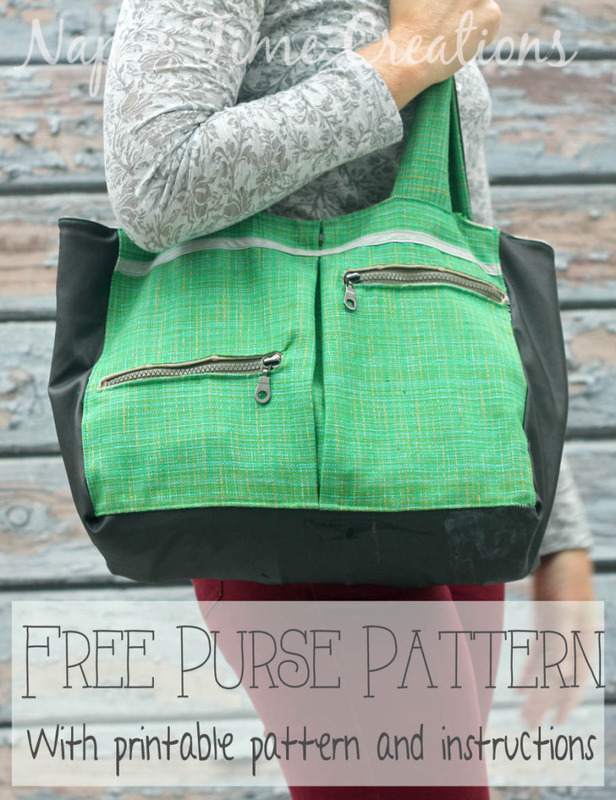 This Winter purse is easy to sew, is a great size and has all the pockets you could need!! Zipper pockets on the front for your important stuff and two big pockets inside, one on each side. The inside pocket is perfect for any mommy traveling pharmacies. With a big pleat in the middle this Winter purse is very roomy! Finf the Winter purse pattern here. Pattern created by Emily at Nap Time Creations.